A broken washer can seriously affect your household chores. If you are not keen on taking piles of dirty clothes to the nearest Laundromat, call our company for a fast and reliable washing machine repair. Our team has the skills and expertise needed to resolve even the most complex issues. No matter how old or new your appliance is, you can count on our qualified washing machine technicians Whitby team. By calling us, you will be able to be back to doing laundry within the shortest possible time. When your washing machine starts malfunctioning, it’s vital to take a fast action and call Appliance Repair Whitby right away. Our team offers same day appointments throughout the Whitby region in Ontario and ready to work around your busy schedule. With years of experience in the appliance repair business, we can tackle any problem that occurs quickly and effectively. Our washing machine technicians are trained to work on most major makes and models available on the market including the high end ones. With a good number of replacement parts in the stock, we can replace any faulty component within a short notice. Our company provides a wide array of washer services including installation.If you have purchased a new unit and want to make sure it’s set right, contact our team. Our technicians have the knowledge and tools to perform quality washer installation in one go. We can ensure that after our services your appliance will run flawlessly. 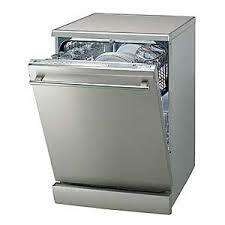 Whenever you face some issues with your washing machine, our company is ready to help you. Don’t rush to have your appliance replaced and let our Whitby washing machine technicians repair it. With our high-quality services, your complete satisfaction is guaranteed!